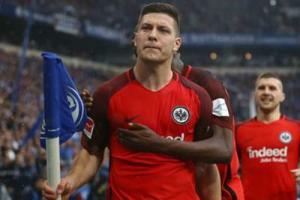 Atletico Madrid goalkeeper Jan Oblak said it is "little sad" that Paris Saint-Germain target Filipe Luis possibly played his last game for the Spanish club. 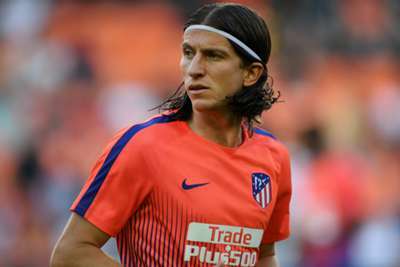 Brazil international full-back Filipe Luis has been linked with Ligue 1 champions PSG and Atletico head coach Diego Simeone said he would be willing to accommodate the player's wishes. Former Chelsea defender Filipe Luis started and completed Atletico's opening 1-1 LaLiga draw at Valencia on Monday. Asked about Filipe Luis' future, Oblak told reporters post-match: "It's a little sad, but football is like that, let's see what happens. "Filipe has a good opportunity and we must respect the decision of each player." Take a look at the best pictures from our first @LaLigaEN match of the season! Winners of the UEFA Super Cup at the expense of rivals Real Madrid last week, Atletico hit the front against Valencia thanks to Angel Correa's 26th-minute opener. Valencia, though, managed to secure a share of the spoils via Rodrigo Moreno 11 minutes into the second half. "It was a great game, we were better for almost all of the match, but in the end Valencia could have even taken the victory," Oblak added. "After Valencia scored things got complicated for us. "They also brought two fresh forwards on and we began to feel that we had played 120 minutes."